An occurrence of the cracks is often a subject that raises numerous questions. 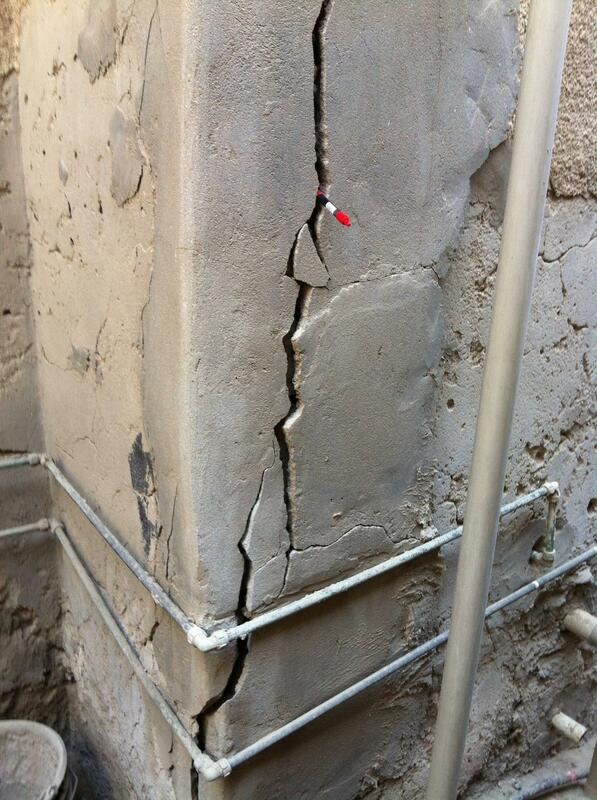 Cracks may appear in structures, either at the initial stage or with time. It should first of all be accepted that cracks of some type are unavoidable in any structure. General Classification of cracks: Structural, nonstructural, thin, medium, wide, straight, toothed, stepped, map pattern, vertical, horizontal & diagonal cracks. 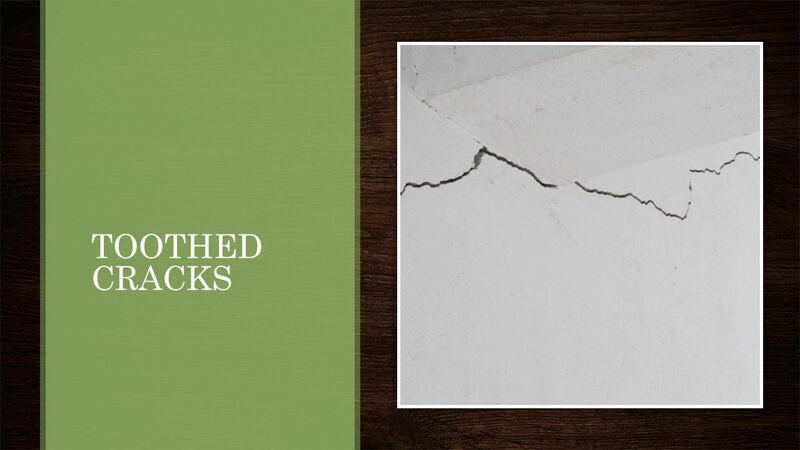 Cracks in buildings can be broadly classified as structural and non-structural cracks. These cracks occur due to incorrect design, faulty construction or overloading and these may endanger the safety of a building. e.g. Extensive cracking of an RCC column of any structural element. These occur mostly due to internally induced stresses in building materials and do not endanger the safety of a building but may look unsightly, or may create an impression of faulty work or may give a feeling of instability. In some situations due to penetration of moisture through them, non-structural cracks may spoil the internal finishes thus adding to the cost of maintenance, or corrode the reinforcement, thereby adversely affecting the stability of the structure in long run. Cracks may appear in the structure either at the initial stage or with the time. Some cracks are unavoidable in structure and subjected to numerous questions. Cracks may appreciably vary in width from very thin hair crack barely visible to the naked eye (about 0.01mm in width) to gaping cracks 5mm or more in width. More than 2 mm in width. The occurrence of closely spaced fine cracks at the surface of a material is called crazing. Cracks may appreciably vary in width from very thin hair crack barely visible to the naked eye to gaping crack. Vice versa cracks can be of uniform width throughout or may be narrow at one end gradually widening at the other. Cracks due to different causes have varying characteristics and by the careful observations of these characteristics, one can diagnose the cause of cracking for adopting the appropriate remedial measures.